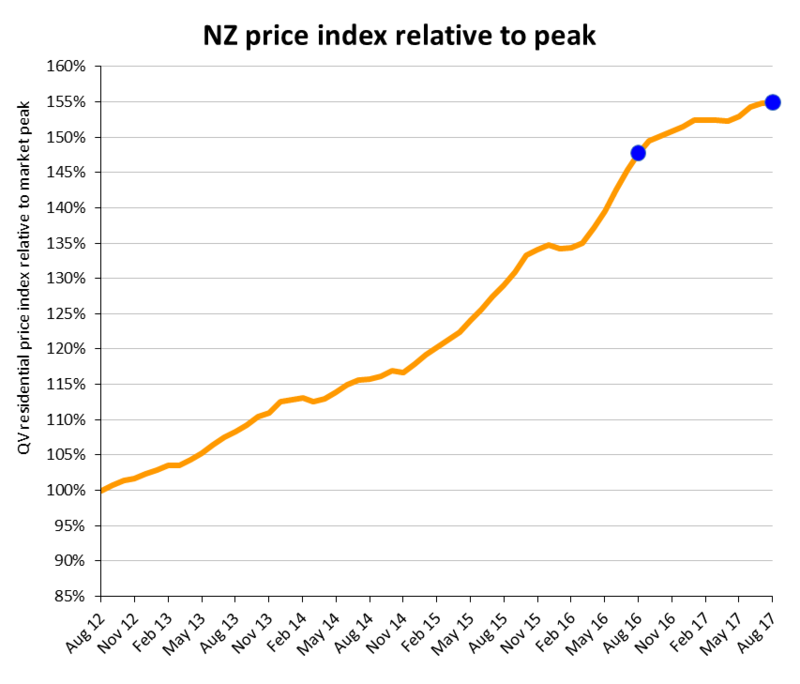 The latest monthly QV House Price Index shows nationwide residential property values for August increased 4.8% over the past year which is the slowest annual rate since August 2012. Values rose by 1.2% over the past three months and the nationwide average value is now $641,648 which is 54.9% above the previous market peak of late 2007. When adjusted for inflation the nationwide annual increase drops slightly to 3.0% and values are now 29.3% above the 2007 peak.